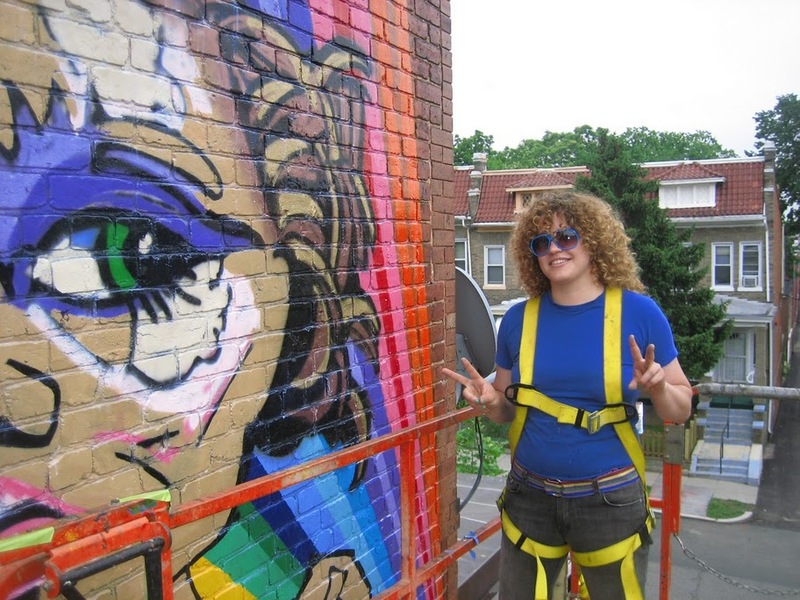 Artist Lisa Marie Thalhammer was born in St. Louis, MO and currently lives and creates art in Washington, DC. After studying at the Art Institute of Chicago and Staffordshire University in England, Lisa Marie received a Bachelor of Fine Arts in Painting with Honors and a Women Studies Minor from the University of Kansas in 2003. In 2004, she came to DC for a visit; immediately falling in love with the city and eventually moving here. 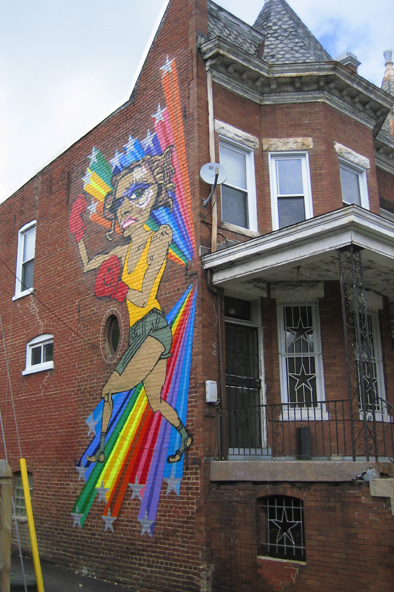 In May 2009, Lisa Marie created her first major public art work – Boxer Girl – located at 1st & W Streets NW. Her recent solo exhibitions include Welcome to Lizard County at G Fine Arts – reviewed by the Washington Post and City Paper – and Lizards Live at The Butcher’s Daughter Contemporary Art – reviewed by The Detroiter. Recent international art fairs & festivals include PULSE and No Soul for Sale in New York City; Aqua Art during Miami Basel. Other recent group exhibitions include; Postcards From the Heartland (How I Learned To Stop Worrying and Love the RED State) curated by Contemporary Art Museum St. Louis Director, Paul Ha, for the Art Production Fund Lab in New York City; and Sass at Transformer in Washington DC. She has also appeared out & proud on the cover of and been featured in the Washington Blade. DCCAH: What is the one quote you live by? DCCAH: What made you decide on DC? LMT: After finishing art school at the University of Kansas, I traveled extensively in China and Korea before coming to DC in 2004 to visit my cousin Keith Fritz, an artisan of classically modern handcrafted furniture. Immediately, I feel in love with the city and all its diversely interesting people. I worked in my cousin’s wood shop by day, bar tended at night, and made paintings at all hours. Shortly after my move, I met James Alefantis, the owner of the restaurants Comet Ping Pong & Bucks Fishing & Camping – and began to manage his Georgetown based art gallery, Stand-on-Volta. During my time there I met the intellects of DC art world and had a great time throwing fabulous openings that spilt out onto evening cobble stone streets. I found a strong community of artists and creative people living and working in the DC and was immediately enchanted with conversations concerning the art and politics of our time . Eventually, I found an amazing live/work studio space on O Street NW and decided to make DC my home.